This book details over 70 major sites in North East Germany and the Baltic islands and has detailed information on access, including GPS coordinates. 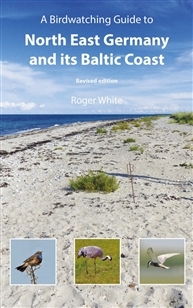 It gives descriptions of habitat and species and has bird and site photographs throughout, plus detailed colour maps for all the main sites. There are tips on finding specialities such as Lesser Spotted Eagle, Whiskered Tern, Thrush Nightingale, Red-breasted Flycatcher and Common Rosefinch. At the back of the book are species lists in German and in English and suggested itineraries and advice on where to stay.